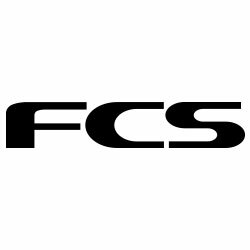 When you're in the mood for speed, the FCS PCC3 Tri Fin Set will be there eagerly awaiting to steer the way. These proven thruster fins have a neutral outline and inside foil, making them perform well in a wide variety of board shapes and surf conditions. The performance core carbon construction has strategically placed carbon that works hand in hand with the fin profile resulting in a lightweight, quick reacting fin that is super fast down the line. An all-around pro-level design, the PC Carbon Series means insanely responsive, power hungry fins that that ache for excitement in the surf. Dynamic RTM construction with strategically placed carbon compliments the template and sweep angle of the fin, and produce a bespoke flex pattern with remarkable memory properties. In the water, this translates to an immediate response when loading up the fins and driving through turns. 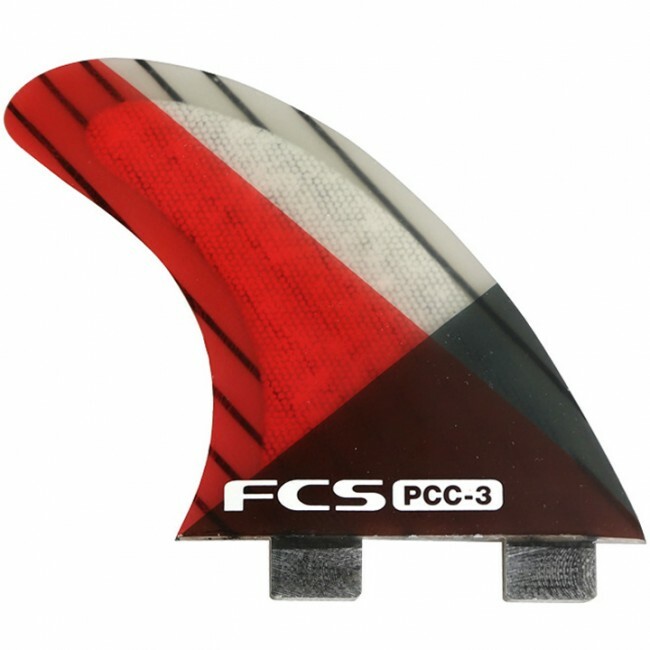 PCC fins suit fast surfing and are favored by power surfers who like to perform explosive turns on critical parts of the wave.